Halifax in Nova Scotia, Canada, was a gateway to North America for many early 19th century Irish immigrants. 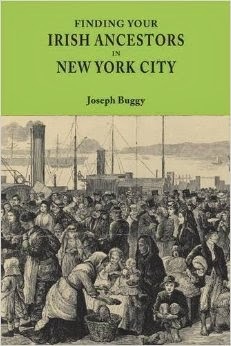 An exciting project is in the process of shedding new light on the Irish community in the 1800s. Centered on Holy Cross Catholic cemetery in the city, the project will transcribe and digitize cemetery records and headstone transcriptions. However, that is only the start; the goal is to link the people in these records to matching census, vital, and property records. 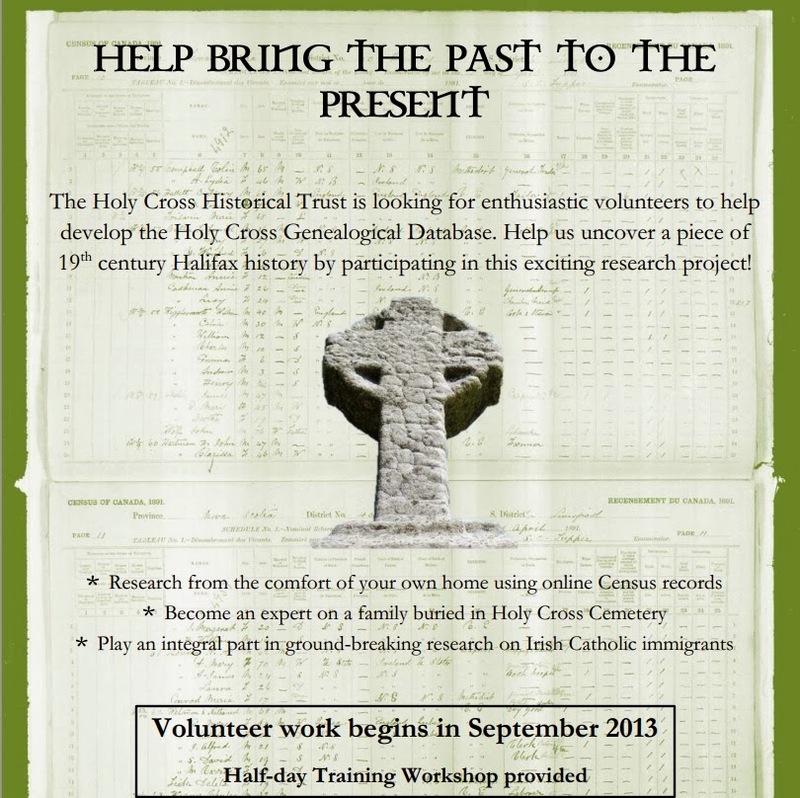 Ultimately, the aim is to place the "Irish Catholic experience in Halifax into a more global context", with the obvious benefit to genealogists being an added bonus. In total, information will be collected on up to 23,500 people. Currently, there is no sign of records on the website/blog, nor an indication as to when and where they can be accessed. The project is being overseen by the Holy Cross Historical Trust, in conjunction with Saint Mary's University, and a number of other cultural and religious organizations. There is a valuable, free resource on the website, in the shape of a 64 minute lecture: Halifax in a North Atlantic Irish World. Holy Cross Historical Trust. Year Unknown. The Scriptorium. Available online at http://holycrosshalifax.ca/database: accessed 11 February 2014.